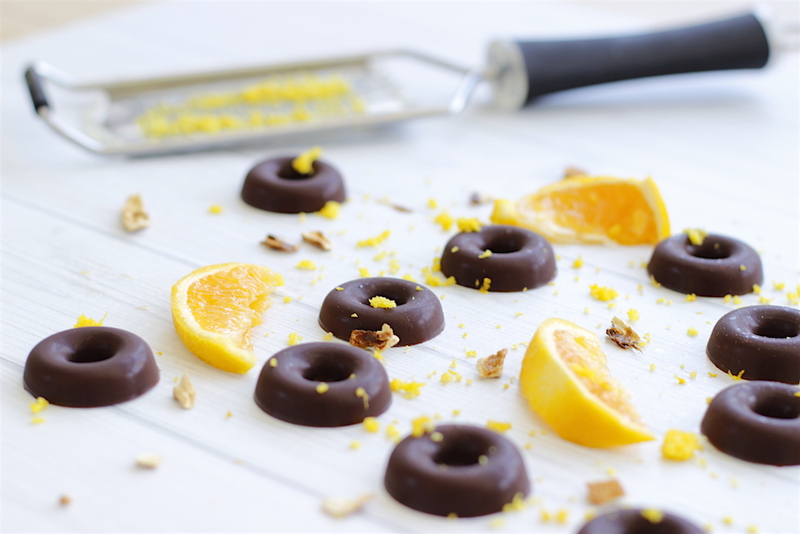 If you’ve ever indulged in a Terry’s Chocolate Orange, you’ll know quite how good the combo of sweet oranges and milky chocolate is. Addictive, in fact. As a Christmas tradition (and Easter, and probably most Fridays) I used to ‘tap and unwrap’ these babies and devour the lot in a few short days. Now i’m a little more conscious about ingredients and portion control, it’s time to re-invent another classic. If you use stevia to sweeten, these delicious chocolates have just 54 calories and 0.5g carbs each! They’re helpfully packed with healthy fats too – so it’s seriously unlikely you’ll manage to eat the whole tray. Then there’s magnesium – thanks to the cacao powder, which is great for exercise recovery (if you’re feeling that way inclined over the holidays) and also helps combat fatigue – which is definitely how I feel over the silly season. 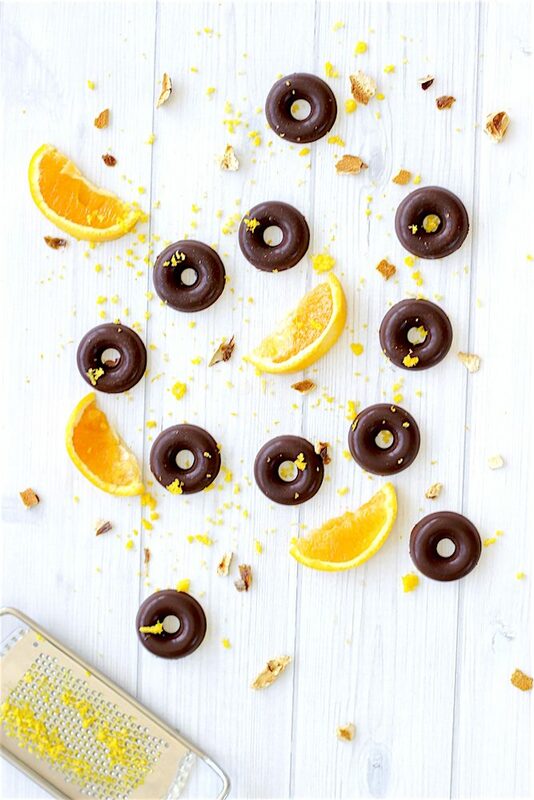 Kick your sweet tooth with these amazingly chocolatey rounds, with sweet hints of orange that just melt in your mouth. Being raw so they’re so easy to make too! Tip: Double the batch and freeze in portions to melt when you need it. Drizzle over fruit, store into hot almond milk or pour over healthy ice-cream! Add the cacao powder, zest, juice and salt, stirring until completely smooth. Set in the freezer for 20-30 minutes until solid. Pop one out of the mould whenever you fancy!